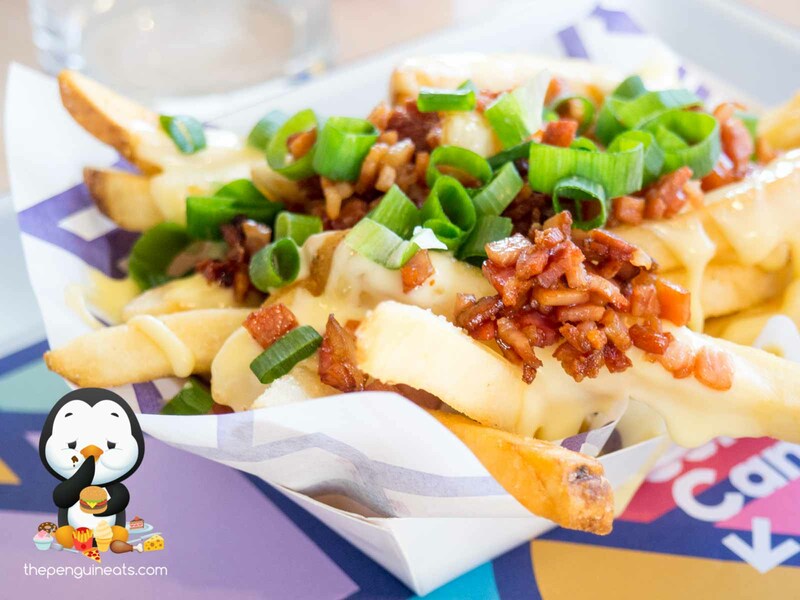 We started off with the Cheese and Bacon Fries and were immediately impressed. 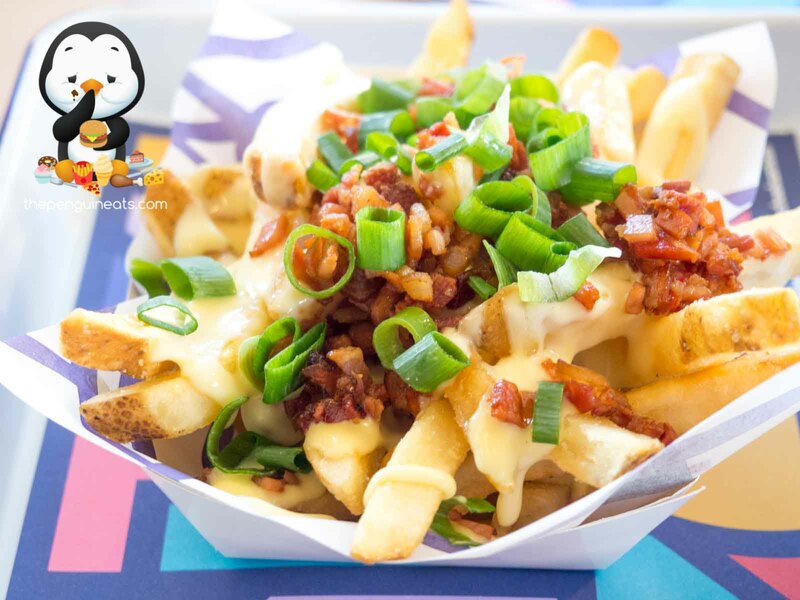 Loaded with a generous amount of bacon squares that were fried to a perfect crisp, this was accompanied by crunch, golden brown chips that remained its crispiness for a long while. 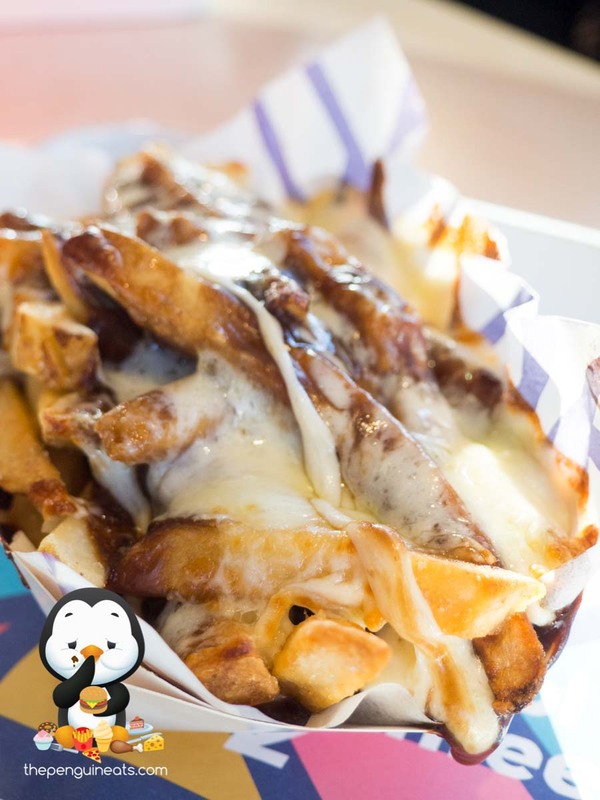 With everything drenched in a coat of beautifully melted and flavoursome cheese sauce, this was one mean loaded fries that kept begging for another bite. We also enjoyed the Peanut Butter Time milkshake. 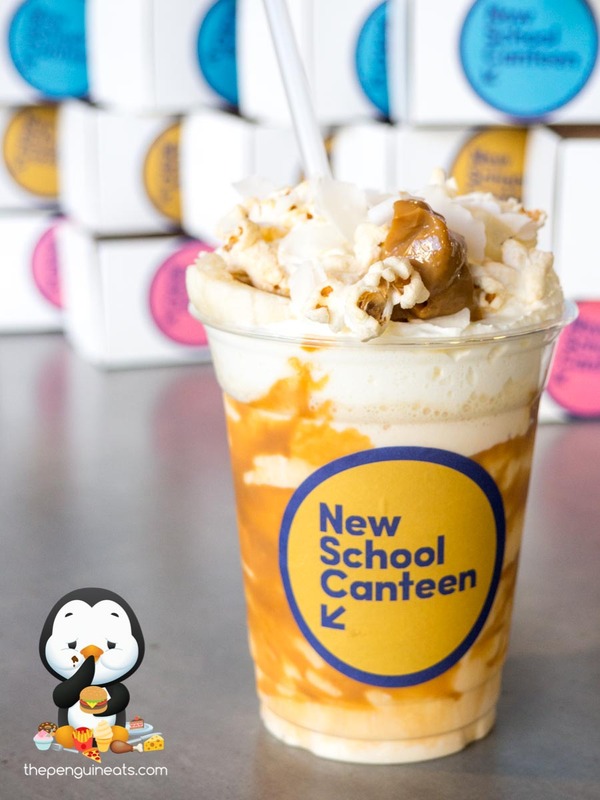 With an unapologetically bold peanut butter flavour permeating throughout, the shake was thick and creamy with just the right amount of sweetness. Adding a nice depth in flavour and balancing out the sweet was the salted caramel. 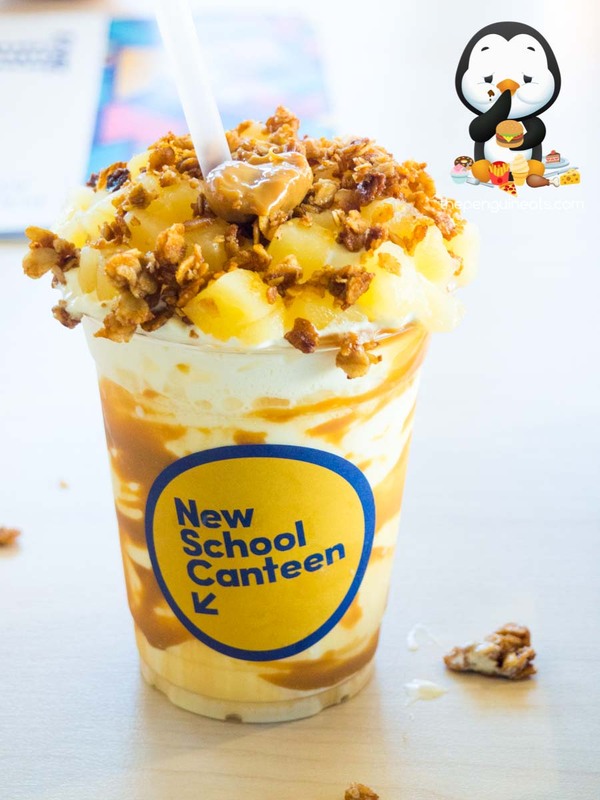 The shake was further topped with actual shavings of coconut and slices of banana, adding a hit of freshness and texture to the drink. Absolutely delicious. 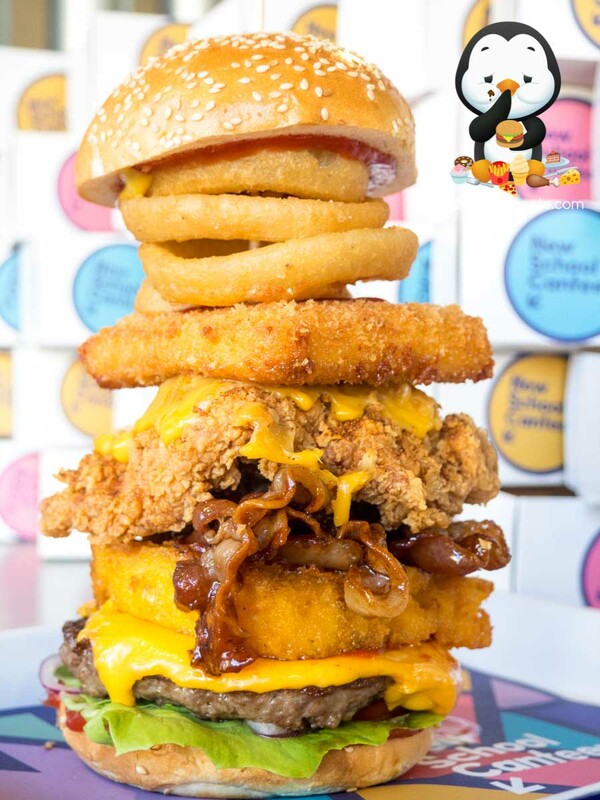 Our highly modified The Canadian Burger was of course the star of the show. 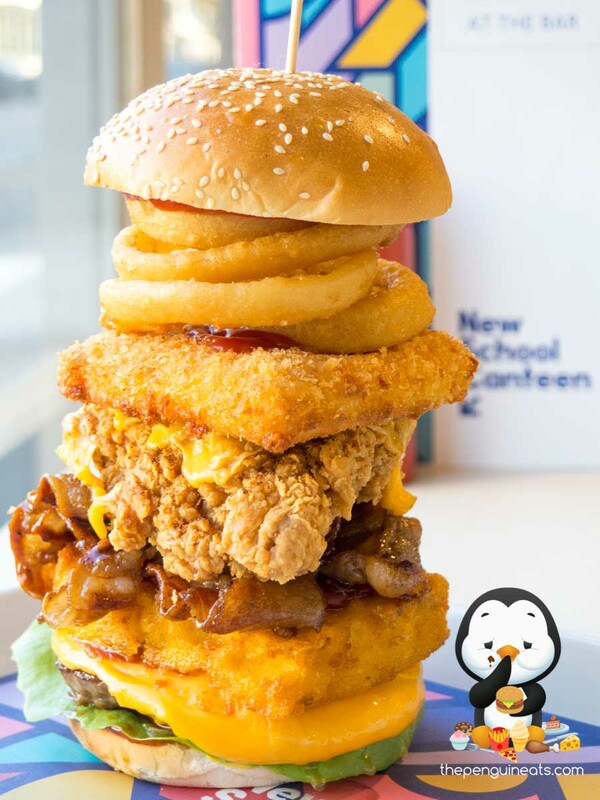 Between the lightly toasted brioche buns, we were rewarded with a huge tower of quality fillings, each delicious in and of itself. Starting from the top, we had the Fried Cheddar Croquette. 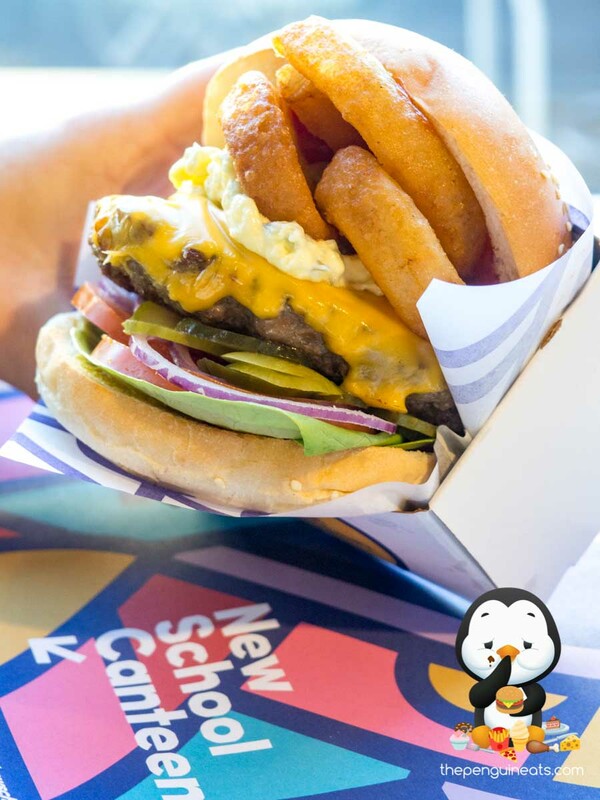 Lightly crumbed, the crispy outer enclosed an exceptionally cheesy and creamy inner filled with soft and gooey goodness. 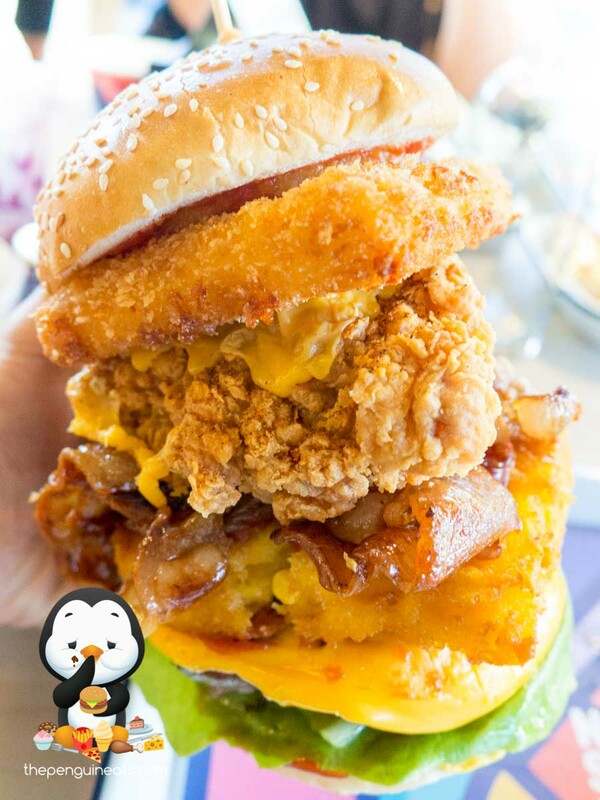 Underneath was the Fried Free Range Chicken with an exceptional crunch, and of course this was topped with a well-melted slice of cheddar cheese. With a well seasoned batter, the crispy outer provided a nice spice and good salty sensation. 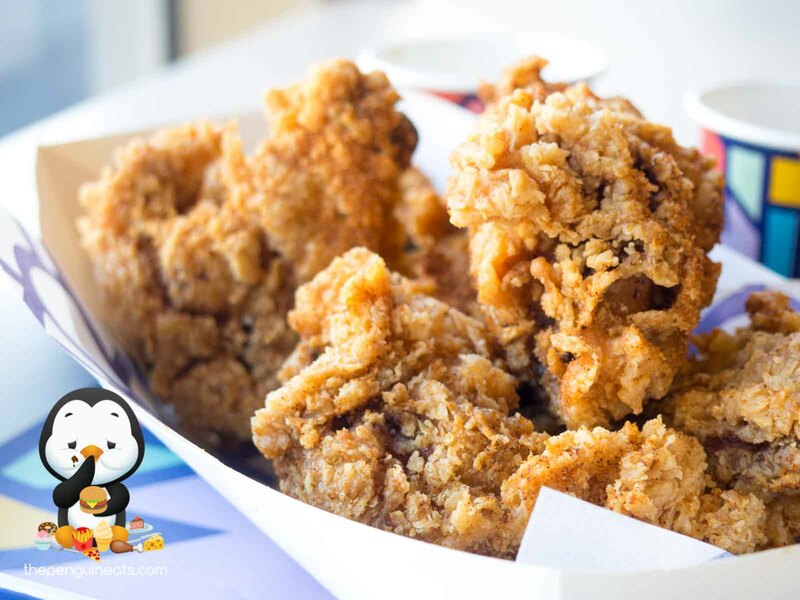 Within, the breast meat was fried to perfection, soft and tender without so much of a hint of dryness. Coming down to arguably the best bit of the burger was the Maple Glazed Bacon. Pan fried to a perfect crisp, the maple glazing was sinfully sweet and fragrant, providing a nice depth and variation in flavour. 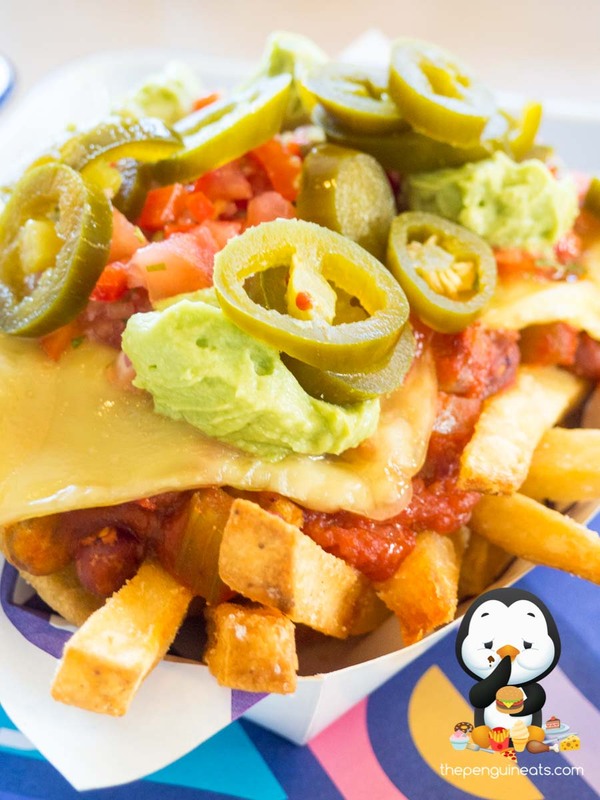 The perfect combination of savoury and sweet. Further down, we arrived at the Fried Polenta Corn Cake. While it would’ve been rightfully enjoyable in solitary, the taste certainly paled in comparison to that amzing bacon above. Thick yet fluffy with occasional bits of crunchy corn, the polenta was both nicely fried and well seasoned. Arriving at the base of the burger was the much-awaited Wagyu Beef Patty. 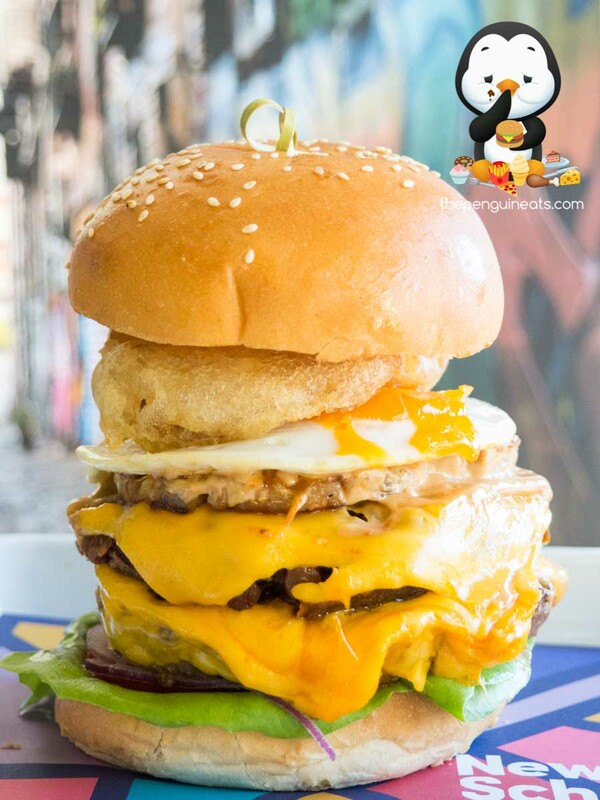 At a hefty 150 grams, the patty exhibited a nice char and had a pleasant beef flavour. Cooked all the way through, we found that the protein was ground overly fine, which resulted in a drier and less tender patty. 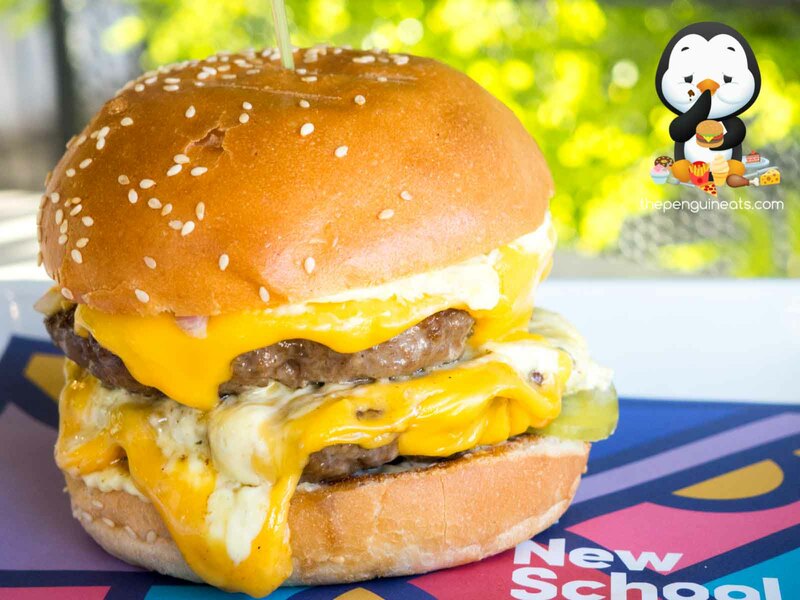 Despite the melted cheddar topping the beef helping with the moisture, we felt that the weakest point of the whole burger was undoubtedly this beef. And of course, we finished off the burger with a slice of lettuce and some tomatoes. For health reasons! The Hot Wings weren’t executed nearly good enough. 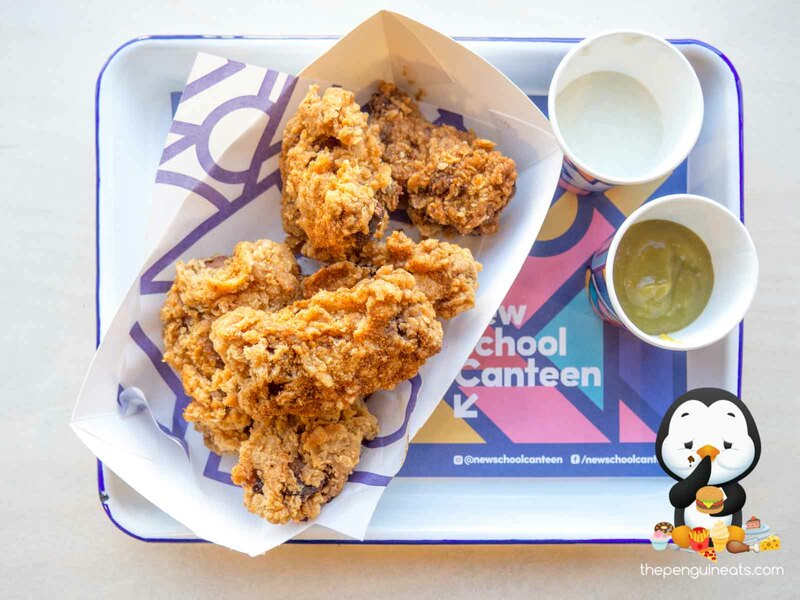 While the buttermilk batter was incredibly flakey and provided a satisfying crunch, the crumbing simply fell off the chicken itself far too easily. We also felt that the chicken was left a tad too long in the fryer which resulted in slight dryness throughout. However, it was overall well-seasoned and well-spiced, and combined with the amazing blue cheese sauce, it was still an enjoyable side. 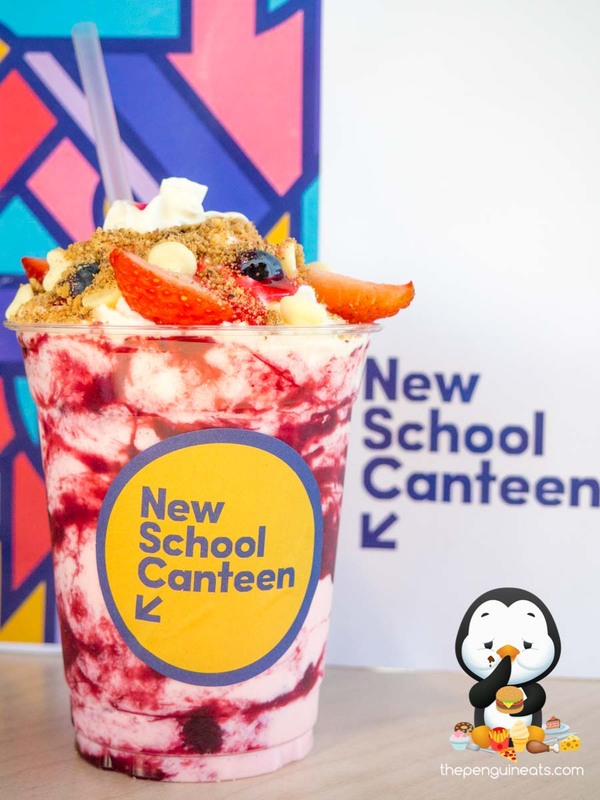 Having established in the very hip and trendy areas of Fitzroy, New School Canteen offers a diverse menu that caters not only to meat-eating burger lovers, but also their vegan and vegetarian friends alike. 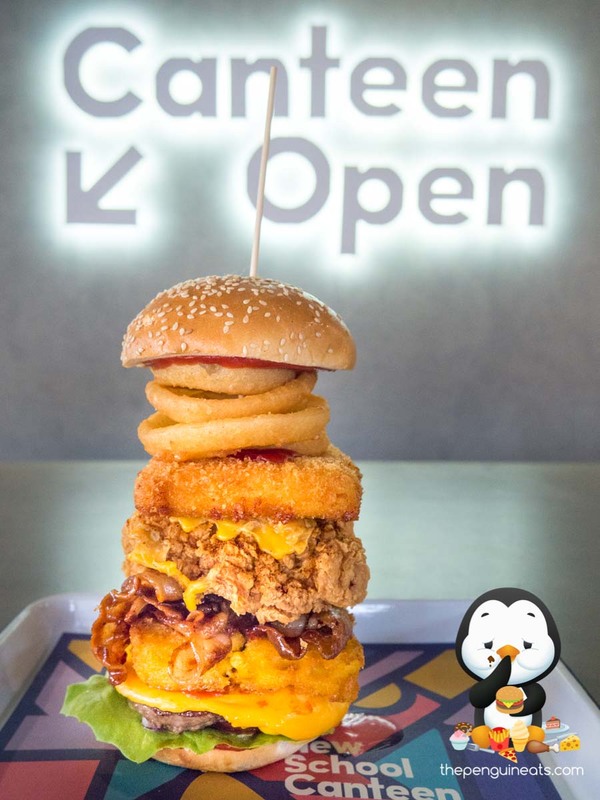 While some components, namely the beef patty and the chicken wings, could do with some improvements, we found the burgers here undeniably tasty and satisfying, and sides like the Loaded Fries and Shakes were definitely no sideshow and proved to be equally enjoyable as well. 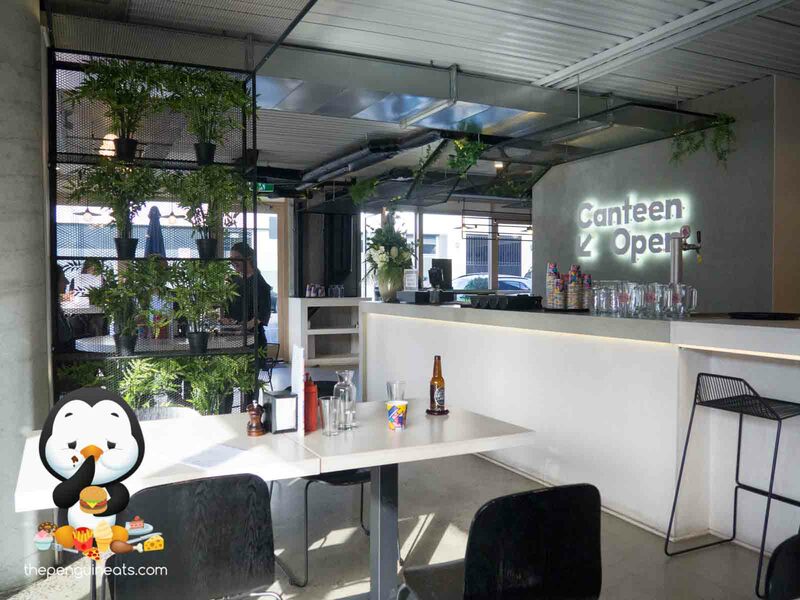 The customisation options are quite literally off the charts here at New School Canteen, and I’d be back to do more modded burgers for sure! 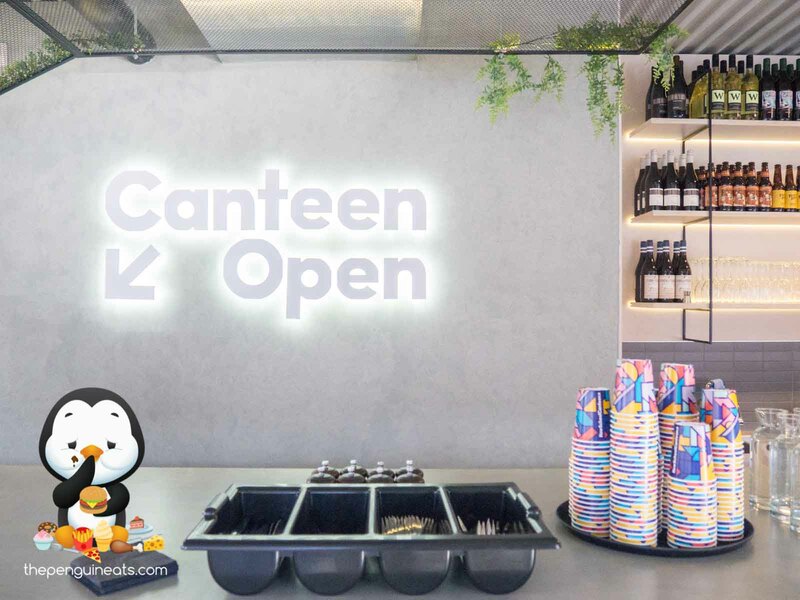 Penguineats would like to thank Taking A Bite and New School Canteen for inviting us.